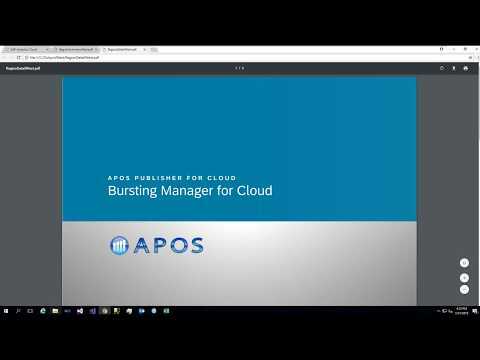 The APOS Live Data Gateway provides live data connectivity for SAP Analysis for Office 2.5 and higher. 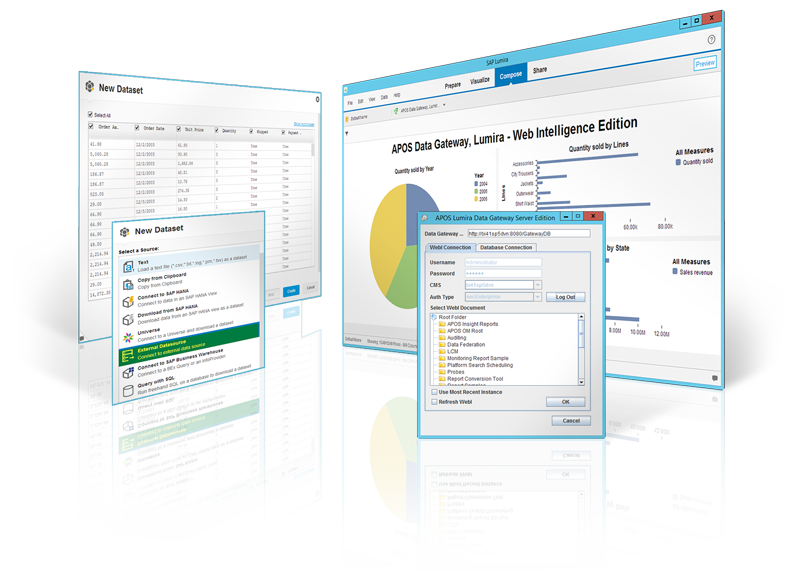 Click to view APOS Live Data Gateway for SAP Analysis for Office Architecture. Level 1 - A single cached database account can be used by all users of a given connection. Level 2 - The administrator can set up a list of accounts to be used to connect to the database, mapping SAP BusinessObjects accounts to databases. The administrator can optionally define row-level security for each account. Level 3 - A link can be established automatically between SAP BusinessObjects accounts and UNX / UNV universes. The administrator can optionally define row-level security for each account.